Cleveland Clinic creating a new center for artificial intelligence that aims to further collaboration and communication between physicians, researchers and data scientists as AI and machine learning efforts evolve and gain traction across the health system. The goal is to boost research on various clinical use cases where machine learning, deep learning and other AI approaches could be brought to bear, officials said. The center will convene specialists from departments such as IT, genetics, laboratory, oncology, pathology, radiology and more. A project of Cleveland Clinic Enterprise Analytics, the Center for Clinical Artificial Intelligence will seek new and innovative applications of AI for diagnostics, disease prediction and treatment planning. Already, researchers at the center are developing new machine learning models for more accurate clinical decision support, quality improvement, predictions of length or stay and readmission risk and other use cases, officials said. And other initiatives focused on oncology are also underway, exploring how AI can enable personalized outcomes prediction, for instance, or boost the accuracy of computer-aided detection in pathology slides. 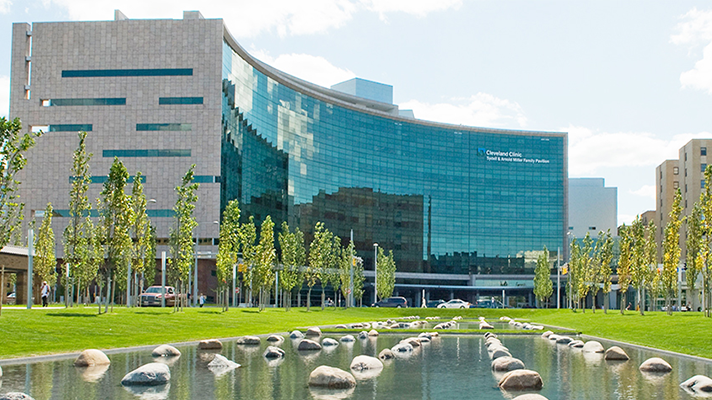 Cleveland Clinic has been at the forefront of medical innovation for decades, of course. And it’s long been well-positioned to benefit from the technology transformation that’s been occurring in the 21st Century and help other hospitals and health systems do the same. With artificial intelligence and machine learning poised to have huge impacts on medicine – even as big questions about its effects on clinicians and patients still need to be answered – the health system will be focused not just on the nuts and bolts of how AI can improve clinical care, but also on how it might affect the patient experience. This spring, from May 13-15, Cleveland Clinic will partner with HIMSS for its Empathy & Innovation Summit, billed as the biggest independent conference in the world devoted to improving patient experience and engagement – and exploring, in part, how emerging technologies such as AI will impact both. The new Center for Clinical Artificial Intelligence aims to “translate AI-based concepts into clinical tools that will improve patient care and advance medical research,” said Dr. Aziz Nazha, who has been named director of CCAI and associate medical director for AI at Cleveland Clinic.